A 7-year-old boy named Casey in Santa Rosa, California received a very special delivery of a Diabetic Alert Dog from Service Dogs by Warren Retrievers. SANTA ROSA, Calif., May 8, 2018	(Newswire.com) - ​Casey, a 7-year-old living in Santa Rosa, California, received a special delivery of his very own Diabetic Alert Service Dog from Service Dogs by Warren Retrievers. Based in Madison, Virginia, Service Dogs by Warren Retrievers, or “SDWR,” has a mission to provide specially bred and trained dogs for people of all ages that struggle with living with invisible disabilities such as autism, PTSD, seizure disorders or in the case of Casey — diabetes. In 2017, SDWR reached a milestone of having over 600 service dogs working around the globe. SDWR is currently serving over 1,000 families. Beamer, a white Labrador retriever Diabetic Alert Service Dog, has already received thousands of hours of training through SDWR’s service dog raiser program where volunteers raise puppies in training for approximately one year. 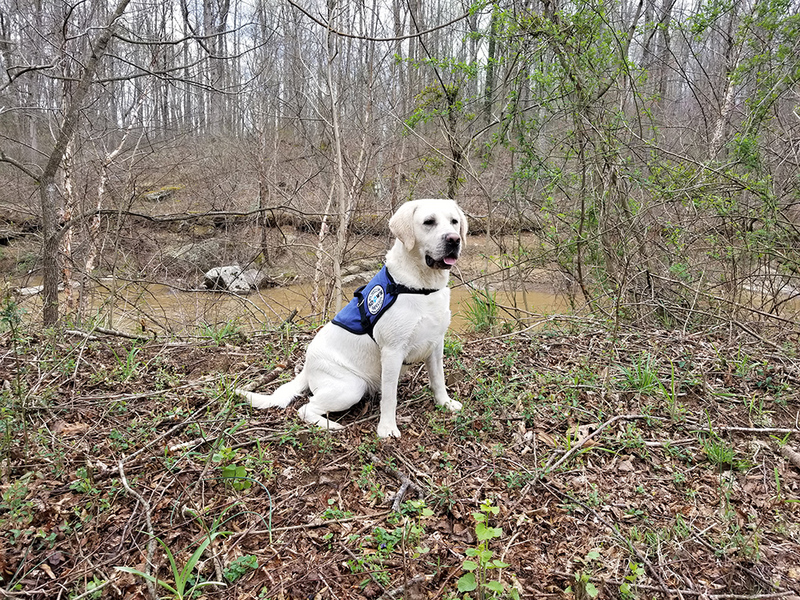 The dogs and raisers must follow through with the foundation and skill set training provided through SDWR trainers at the facility in Virginia. Casey was diagnosed with Type 1 Diabetes at the age of 5 years old. Casey’s family is hoping that with the arrival of Diabetic Alert Dog Beamer, it will give them peace of mind knowing their service dog is there to alert them to fluctuating highs and lows in his blood sugar. This will provide Casey with a sense of freedom and independence knowing that Beamer is by his side to alert when his blood sugar is out of range, retrieve his checker and provide companionship when he is not feeling well. 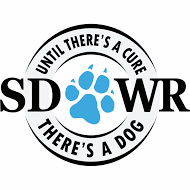 SDWR uses a proprietary scent training method to teach Diabetic Service Dogs to detect fluctuations in blood sugar that fall outside of a handler’s healthy range. Since Beamer is a service dog and covered under laws in accordance with the Americans with Disabilities Act, he will be able to accompany the family everywhere — from school to grocery shopping, even to baseball and football practice and games. He will work with SDWR trainers to gain the full public-access certification. During the upcoming 18 months, SDWR will return to Casey’s home every three to four months to continue working on Beamer’s customized training and follow-up training as well as training the human to make a successful team and earn public-access certification. This certification can only be given to Casey after a progression of hard work and dedication to the SDWR training program. This training program is what sets SDWR apart from other nonprofit service dog organizations. Service Dogs by Warren Retrievers is a nonprofit organization based in Madison, Virginia, and relies on donations to help the organization in its mission: “Until there’s a cure … there’s a dog.” To make a donation or learn more about SDWR, please visit the website at www.sdwr.org. 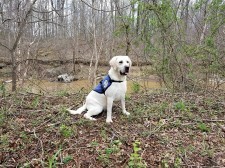 To learn more about Diabetic Alert Service Dogs, visit www.sdwr.org/service-dogs/diabetic-alert. Service Dogs by Warren Retrievers "SDWR" is a 501c3 non profit based in Madison VA with over 500 high quality, exceptionally trained, well skilled service dogs already provided to people with Diabetes, Autism, Seizure Disorder and PTSD. A nine-year-old boy named Liam in Bakersfield, CA received a very special delivery today of his very own Autism Service Dog from Service Dogs by Warren Retrievers. Service Dogs by Warren Retrievers delivers a highly trained Diabetic Alert Service Dog to a 12-Year-Old girl in Ewa Beach, Hawaii. 32-year-old from Newark, Delaware receives highly trained Seizure Response Service Dog from Service Dogs by Warren Retrievers.